Injured by a Faulty or Defective Product? Call 1-800-ATTORNEY Now! We buy products expecting them to serve their purpose and make our lives easier. Every day, there are numerous items which hit the market. Unfortunately, some of these manufacturers do not put in the due diligence necessary to ensure the safety of their product. Things like manufacturing errors and design mistakes can turn a normal, useful item into a death trap or something which can cause serious injury and present consumers with an unforeseen danger. When someone is injured due to a defectively manufactured product, a defectively designed product, or a product without adequate safety warnings, the victim is allowed to file a claim or lawsuit under product liability law. By filing a product liability claim or lawsuit, you can recover damages related to your injury. More than that, bringing a product liability claim can bring about safety changes which will prevent the same type of injury from happening to other consumers in the future. In such cases, you will need the services of an experienced product liability attorney to assess the details of the defect and determine how much you may be able to recover as compensation. Product liability law is very complex and the chain of liability can get quite confusing to an attorney with little or no experience with product liability cases. In many cases, you may be able to sue more than one defendant. Its important to understand that without the assistance of a lawyer, you stand little chance at a successful outcome. Luckily, product liability lawyers work on a contingency-fee basis. This means that you never pay your attorney a single cent unless he or she is able to successfully recover compensation for you. Manufacturing defects are generally caused by an error during the assembly process of manufacturing. Typically, only a small percentage of manufactured products will have such a defect. This kind of faulty construction will likely leave the manufacturer liable for any damages and injuries arising from the defective product. Additionally, you may need to prove that the defect which caused your injury was present at the time that the product left the assembly plant in order to be awarded damages of any kind. A design defect on the other hand is a design flaw which exists in the original blueprint of the product. This kind of error affects virtually whole batches since the genesis of the flaw exists in the main thing which is used to create a prototype or start the manufacturing process. One clear example of a design defect would be lawn darts. The lawn dart design was inherently unsafe, and led to many serious injuries. Even if your injuries were not caused by the two types of defects we’ve mentioned above, there’s always the question of whether the manufacturer took care to warn you of reasonable risks via legible and clear warning labels. In 2002, the regulatory authorities responsible for the different safety symbols on products overhauled signage and came up with simpler and easy-to-read signs which had different color codes symbolizing the level of danger present in a certain product. 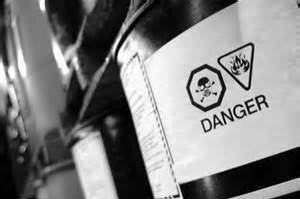 Inform the consumer on the existing hazards tied to the use of a certain product. Inform the consumer of the extent of the risk connected to a product. Inform the consumer of the effects of a certain hazard. Inform the consumer on ways to avoid a given hazard. There are different types of product liability lawsuits. Your attorney will be able to accurately determine which one to file a lawsuit under so that you can maximize your compensation. Negligence generally refers to the fact that a manufacturer or seller did not do due diligence in regard to the manufacturing of the product in question. In order for a negligence claim to be valid, you will need to prove that the defendant owed consumers a duty to keep them safe from injury, that the defendant breached this duty, and that the breach of duty caused you injury. You must also be able to prove that you suffered a quantifiable injury (usually via medical bills). Strict liability refers claims relating to the product itself, and not necessarily to the negligence of the manufacturer. In these cases, you’re required to prove a cause and effect matrix. That is to say, a defect directly caused an injury. In these cases, a manufacturer may still be held responsible even if they took utmost care in ensuring that the end product was free from any defects. Breach of warranty refers to an injury caused by a product which was under either express or implied warranty at the time. You may file a claim for breach of an express warranty, breach of an implied warranty of merchantability, and/or breach of an implied warranty of fitness for a particular purpose. If you’re feel that your injury was caused by a product liability issue, call the lawyers at 1-800-ATTORNEY for a free consultation. While these cases can be very complex, the best thing you can do is get started ASAP. The strength of your case depends on many different factors, and the best way to build a strong case is to get in touch with a competent and experienced product liability attorney as soon as possible.